I have queried this before, and it wasn’t much of a stretch to believe: Netflix CEO Reed Hastings has suggested they may be offering streaming-only subscriptions later this year. With over a million subscribers using the Xbox 360 to stream Netflix Watch Now content, it makes sense the next step is to offer a subscription for users who don’t require physical discs. 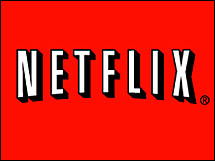 Hastings has said in the past that they believe the future of Netflix is streaming. There is no hint as to what the price for this service would be, but I would expect something around $6-7 dollars. Currently the lowest priced subscription service with unlimited streaming is $9.